New guy here, still in the planning stages. I have some questions. Thread: New guy here, still in the planning stages. I have some questions. Hi, My name is Rafael, I have been building cars since I was 16. My dream car is a Cobra of course . Most of my experience is with Chevy cars but I have worked on many vehicles throughout the years and spent 8 years of my life working as a mechanic and 2 working at a body shop. I am having a hard time deciding what route to go. I know I want to get the base kit. I am looking at going 2 different directions. 1. Base kit and a donor. 2. Base kit and source out the parts I need for the build. The would be mostly new. I would get low mileage or rebuilt drive train. I don't necessarily have to build the kit on a budget but I like to save money where I can. I think I can do it for 20K . I will also be doing all the work myself including paint. My plan is to start looking for a donor and or source the parts I need before i order the kit. With that in mind I have a few questions concerning donor vehicles. 1. The Lincoln Mark VIII looks like it would be a great donor. It looks like I could use the engine, Harness, trans and IRS from said vehicle. I could also do the wiring myself and not need a tune is I sourced a 94 or 95..Maybe? 2. The 3V Mustangs also look good but I'm not sure how much of the vehicle I can use for the build. Another concern is having to have the wiring "Diet" done and the ECM tuned. that would cut deep into my budget. Soo.. now I am leaning towards the base kit and sourced parts for the build. This is where it gets interesting. If I do this I have to decide Coyote or LSx. Keeping with tradition I would love to go with the Coyote but it looks like it would cost double what a LSx build would cost. Thanks, Your input is greatly appreciated. You will have to be very aggressive to find a donor cheap enough to use as a donor if you are really trying to get it under 20K. I think a fox body mustang, using the donor 4 link is going to be the only way to get there. The MkVIII IRS is essentially the same as the Supercoupe IRS which was used in the earlier kits and to my understanding is no longer available as an option. The new IRS is late model Mustang with the new "Super" 8.8. You won't round up the parts for a Coyote IRS car for 20k, unless it's a really motivated seller's abandoned project. The T-Bird/Lincoln IRS is no longer an option. Let's say you use a salvage Coyote---by the time you factor in the base kit cost of $13K, delivery, options such as control arms spindles & brakes, a rear end (even if it's a live axle) and it's brakes along with pedals and master cylinder, fuel system, engine control pack, chassis wiring, clutch and trans, cooling system, wheels, tires, battery, fluids and all of the other miscellaneous expenses you will be well above $20K before you get to the point of thinking about body and paint. Sorry, but that's just the way it is. I agree with Jeff, 20K is just not doable. I think there were a couple guys that got it done for 25K, but that was "back in the day", when Fox body Mustangs were doing burnouts, flying through crowds of people, and then hitting trees on a daily basis. You could get pallet kits, etc. Those days are gone. Fox bodies are now "classics", and are either too expensive or too worn out. 25 year old wiring, radiators and fuel tanks, are not very viable parts even if you do find one cheap. Do an LS and you are in for custom headers and other bits and pieces. It looks like I cant use the Lincoln IRS. So maybe getting a low mileage Mark VIII is not a great idea. I never considered buying a Coyote Mustang as a donor, just the engine. That would be very expensive. So maybe plan 2 is a better option. I can start hording parts then order the kit when I'm ready. I'm still not sure If I'm going LS or coyote based. We will see what falls in my lap. Now we know you're one of us. I can start hording parts then order the kit when I'm ready. I'm still not sure If I'm going LS or coyote based. We will see what falls in my lap. That's actually a very good plan if you have patience + room to store pieces. The hardest part about it is figuring out which parts you actually want to use (and will work) and not buying stuff that won't work for your build. I kind of know what I want to do already as far as the major parts go. I just don't know what I might need and not have handy going the donor route. I was hoping there was a spreadsheet with every nut and bolt needed. I am a patient person and l knowing a lot of people in the car scene has its perks. You could pick up a low mileage C4 Corvette with a ZF 6-Speed and stuff them in. I'll send you the measurements and where to find the motor mounts and headers. What ever you build will be your dream car so sweet dreaming new family member, sweet dreaming. Welcome Aboard From New Orleans, The City Of Marie Laveau! Last edited by GoDadGo; 01-31-2019 at 04:23 PM. What ever you build will be your dream car so sweet dream new family member, sweet dreams. Nothing wrong with going a different direction like Steve has but remember, if you go off the reservation and break away from the recipe it'll end up costing you in time and/or money. Probably the least expensive way to build right now is to find a low mileage lightly wrecked '04 or earlier GT (ideally DOHC or even better Mach 1) then use nearly every bit of it including the live axle and rehabbing or replacing with OEM equivalent wear items such as brakes, clutch, etc. You'll still run over $20K, but you won't end up at twice that like you would with a Coyote, 2015 IRS and new all new parts. Last edited by Jeff Kleiner; 01-31-2019 at 04:32 PM. GoDadGo Do you mean C5? I have one of those. Im not ready to part with it. Last edited by [email protected]; 01-31-2019 at 04:35 PM. You've Joined A Great Family & I'm Proof That Everybody Is Welcome Here! We All Suffer From A Special Kind Of Stupid! Last edited by GoDadGo; 01-31-2019 at 04:44 PM. Sweet Cars!! I cant wait to take pictures of the Cobra and C5Z together. Here is another Pic of "Mellow"
Lol 20k, as the rule states take that number mutiply by 2 then take that number and multiply by 1.1 for the final cost. But honestly the cheapest way to go is probably s base kit with a fox body for a donor. Solid axle 8.8 is cheaper and not necessassarly a down grade and rides fine. Although most will say and I agree the IRS will ride softer. I think if you have the complete skills package and tools to do everything from donor tear down to paint and body work mid to upper 20’s is reasonable for a decent car with a donor. How ever paint alone at a shop is 10k+ if you can’t do it yourself. If you want a coyote and are on a budget go used as you can find many low mile engines for 3-5k But then you’ll need a TKO trans which is another cost adder a controls pack, gas pedal, wiring, and clutch. At that point you’ll probably be looking at low to mid 30k range to complete it with a base kit and solid axle. If you don’t mid a carb go with a new 347 stroker for 5k and make the same hp and more torque, but the tko trans and clutch still applies. The plus here is it will be new with a warranty which is nice. Make a excell sheet and run the numbers each way you may want it then decide. If you ask us well quickly make it a 40k+ car lol. I wouldn't even think about a donor. just not worth the trouble because all the stuff is so old and, the most important, there is no single year donor that has all the right stuff for an FFR. IE think of the rear axle. Oldies were the correct width but had 4 lugs and drums. Somewhere around 95 they had disc brakes but the axle shafts are too long so you need shorter shafts and different brackets to mount the calipers. About 2000 they still had discs but they were too wide, not just the axle shafts, but the entire housing is too wide. I think you will be much better off finding parts as you can. I am liking this Idea more and more. Thanks. Personally, I would go with a complete kit and source low mile driveline components out salvage yard. Plenty of new stuff out there that is perfect for a Mark IV build. Not a fan of putting a GM motor in a Cobra, build a 33 or Cheetah kit. Last edited by UpstateCobraGuy; 02-01-2019 at 12:44 PM. Can always do this for a coyote start! I understand how you feel. I never really saw the Cobra as a Ford. To me it was a Shelby purpose built Hot Rod. I still don't know what engine I will go with it may just be a surprise to us all.. including myself. I will tell you this.. I saw a Truck Coyote with with 24K go for $2200 not long ago. The was also a MARK VII (4.6 cobra engine) The car it self had 130K on it but the engine had been rebuilt with paperwork to prove it. The car was for sale for $2700. I was not ready to buy an engine and it will probably be the last part I buy but there are deals out there if we are patient. I never really saw the Cobra as a Ford. I get your point. But if you ever want to sell it, you will find out very quickly that the world in general considers a Cobra a Ford. The resale value will be the same effect as a Corvette with a Coyote in it. Guess who owns the name Cobra.....Shelby does not own it, Ford owns it. You won't surprise us. There is even a FFR out there with a Ferrari V12 in it. I never though of resale value. That is a good reason to try and keep it a Ford. Thanks! As it has been said before your cost will be driven mainly by three parts. 1) kit cost 2) drivetrain 3) paint / bodywork. Personally I went 100% new and went a bit towards the wild side and my car is probably on the higher cost side. Just remember the more newer parts and the more deviation from the FFR standard mustang formula that you go the cost tends to follow. There is nothing wrong with it it’s just the way it usually works. Most of us live in the world of budgets that at some point tell us when we need to be done. Deals are to be had defiantly, but personally I would just focus on the big 3 cost hitters then add a few more thousand for various things needed and you should be close. You have received a lot of responses and from those you can see building a roadster for 20k is not going to happen. I believe someone on here built their’s for somewhere in the 20’s but they either did not paint it and just drove in gel coat or did a quick and dirty paint job. As for paint budget, well it is all over the map as there is also bodywork in there as well. $10k is not that far off although some think it may be but if you shop around, it ranges from $6k-20k depending on many factors. One guy at the Open House a couple years back paid $20+k for paint and bodywork which I though was crazy but I think he may have won best paint that year but can’t be 100% certain. Last note is there is nothing wrong with driving in gel coat for 2-3yrs to save up for a nice paint job. I will be doing all the work myself, including paint and body. I going to spend some time educating myself and collecting parts before I get the kit. The 20K is what I'm shooting for but If I go over then that's that maybe I should say 25K to be realistic but just for example I can get a wrecked Mustang 4.6l GT with 70K right now for $2200. I do appreciate everyone's input here, this is why I posted up I wanted to hear your thoughts and get some advice. Don't want to be a Debbie downer but I think your budget estimates are not realistic. If you think $25K you will most likely come up short. Worse thing you can do is short your budget to talk yourself into getting one of these cars. Lots of kits are picked up from guys who run out of money enthusiasm or both. If budgeting is tight build the car where you can walk away from it while you gather more funds & stay away from a time deadline to finish by. Expect I am like many who set a budget then properly blew it over the course of the build. The hardest part of the build which I farmed out is body & paint work, its also expensive even if you can do it all yourself. Good paint is crazy expensive. The body & paint cost twice what I thought it would when I was planning to do the car. Any Modifications, Fan shroud, Drop trunk, Batter Relo, Cruise Control, Hyd Clutch, Power Steering, Heater/Defrost, Interior upgrades, Different Side pipes/headers, Etc.. Etc. these can add up to $2000-$3000+++ real quick. Just as Bear said, your $20-25k budget will be blow out of the water very quickly unless you plan to have a absolutely bear bone build. As long as you know this can happen and are ready to accept it, go for it. Or as Bear suggest, plan for a longer build time or just wait for the right time. Jeff just stop, stop, stop. No one want to hear your logical well thought out, reasonable BS. Just because you have years and years of experience is no excuse. I'm sure I just beat the bat by a little bit give you this heads up. I built mine for about 25K. I read a lot on the forum, made a build plan and started sourcing parts years in advance. I did buy a donor from an insurance auction. Parted it out. Used what I needed, which was very little, and sold the rest. Most of the parts off the donor were rebuilt or used as cores for replacements. Actually made a little off the parts. It takes a lot of searching and patience to find the right parts and you have to have the skills and time to rebuild some things yourself. That was 7 years ago and I haven't searched for parts since. They were hard to find then and are probably much harder to find now. I did the body work and paint myself. Followed Jeff Kleiners' Mk IV bodywork thread religiously and had a friend from work with a paint booth. Your final costs depend a lot on your intended use of the car. My goal was a weekend cruiser that I could put in the local car show without getting laughed at. If you're building a show or very high performance car there's no chance of getting anywhere close for 25K. PS I got a 25K car and my wife got a 55K kitchen Reno. Should have spent more on the car. To keep costs down look into local Mustang clubs etc. They are around and those guys have the advantage of numbers of people and cars. And there are lots of upgrades etc happening. A friend restores 60s Mustangs and has had many parts left over and sold cheap. he had one 68 come in that had a fox body 302/T5 installed years ago. The owner wanted a correct engine and trans. So my friend pulled the 302/T5 and asked the owner what he wanted to do w/ it. Guy said I don't care, I don't want it. An FFR builder got it for $500. Thanks for all your input guys. I am going to start sourcing and buying parts for a "Donor Kit". I will be buying mostly new parts but plan on being smart about it. I also plan on buying a donor to source the drive train and hopefully recoup some of the cost parting it out. In hind sight I should have never said "I think I can do it for 20K". It has been the focus of my first thread. Just to clear the air I am not restricted by a 20k budget. On the other hand I will be keeping a good log and plan on being smart with my money. Check the classifieds on the forums too. Lots of guys upgrade and sell off their old parts. Some good deals on good parts to be found. If you plan on going with manual brakes, I have a 94-04 pedal box with the modified brake pedal and Whitby adjustable pushrod that’s yours for the cost of shipping. I converted to power brakes last winter. Having said that, if you are planning on going the donor route for brakes, I would seriously consider doing power brakes from the start. 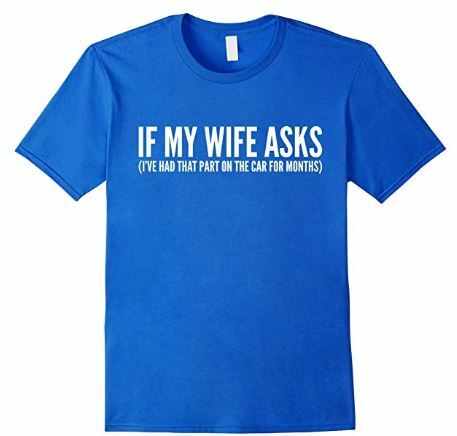 Don't forget to heed the advice given here in the thread, and also... go buy this T-Shirt and wear it around your car buddies. A friend of mine used to be part owner of a performance shop. He offered to put cam in my C5 Z06 for $2800. In the end my engine, and trans transmission were rebuilt, my entire exhaust was replaced with ceramic coated headers and stainless components and we installed a NOS kit..... $9000 I was in trouble when the wifee found out. Last edited by [email protected]; 02-07-2019 at 04:08 PM.